The Creative Current: A Trickle Or A Flood? It’s probably obvious that creativity is vital to a good marketing agency. In order to come up with the best solutions for each of our clients, we have to keep those creative juices flowing all the time. The trouble is that innovative marketing solutions don’t appear out of thin air. While our strategies may seem effortless, this isn’t always the case! There are times when the ideas flow freely, and other times when it’s like pulling teeth! Luckily, we have strategies for dealing with this, so that we can keep producing top-quality work for each of our clients. Pulling Inspiration. Inspiration can come from anything in life but one of our favorites is flipping through publications like Graphic Design USA or Communication Arts Magazine. Following trade specific social media handles like AdWeek and AdAge keeps us up to date in this fast paced industry. Even pulling physical samples of previous jobs we have created can bring new thoughts to mind. Research. Researching more information about a brand’s history or checking out what campaigns the company ran in the past that may not have worked as well can point out ideas for final touches that really pull it all together. Brainstorm and Braindump. A creative brainstorming session in a less formal setting, like our bean bags, can open up the flood gates to a new realm of ideas. Discussing with the entire team can also help bring in a fresh set of eyes to a project. A single word can help mold the entire basis of a brand or project so braindumping thoughts on paper, even the bad ones, can be helpful. On the other hand, sometimes the ideas come so quickly that we can barely keep up with them! This is a problem that every creative professional loves to have. When this happens, the only trouble is keeping our ideas under control so that we can turn them into a polished, finished product. Write everything down! This is Rule #1 for a very good reason: the best idea in the world is useless if it’s forgotten before it can be used. Memories are fickle and can’t be trusted to hold on to our great ideas, so it’s imperative to record them somehow while they’re fresh in our minds. Organize ideas. When inspiration hits in a big way, organization is very helpful. Sorting ideas into thematic groups can help to consolidate our thoughts and formulate a strategy. Once all the possibilities are in some semblance of organization, it’s often helpful to put them into a visual medium such as a mind map. This makes it easier to see connections and turn a rough idea into coherent plan. 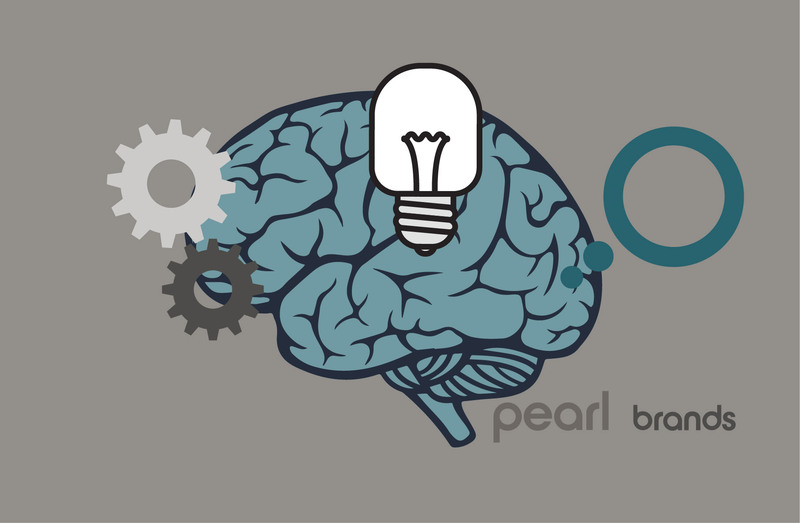 The professionals at Pearl Brands know that creativity doesn’t always come on demand. Sometimes the ideas come thick and fast, and other times you come up empty. However, we have the experience and the knowledge to get the process unstuck and come up with a great strategy every time, for every client. If you’re ready to put our creative professionals to the test and see what we can come up with for your business, call us at 239.313.6059 or get in touch through our website.